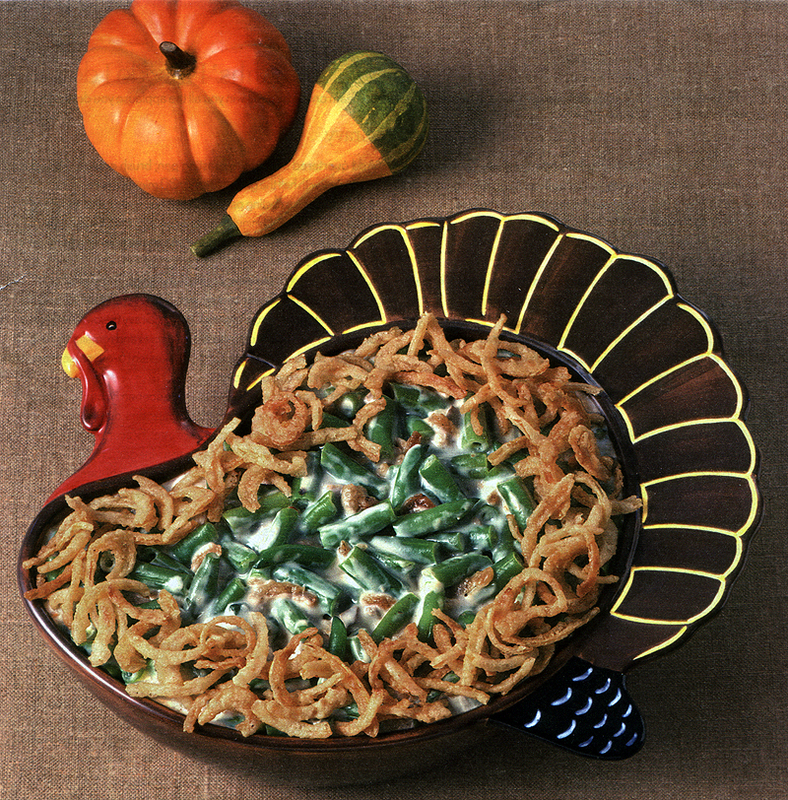 Traditional green bean casserole served as a holiday side dish. Years ago, a friend gave me a recipe for a "pumped-up" green bean casserole that made a hearty dish to serve as a main course. Well, I lost the recipe. But, while foraging the pantry and the freezer for a quick supper, determined to "use what I have," I tried to recreate it from memory. The result was quite tasty. This recipe is vegetarian, but not vegan, because the cream of mushroom soup contains dairy. I call this Cherie's "Slop-it-Together Supper." Enjoy. Serves six. Prepare rice according to package directions and measure (a little extra is OK.) Prepare soy crumbles according to package directions until fully cooked. Drain and rinse green beans. In a large bowl, combine soy crumbles, rice, green beans, soup and one cup of the onions. Transfer to a two-quart casserole dish greased with vegetable shortening or sprayed with non-stick cooking spray. Cover and bake for 30 minutes, or until bubbly around the edges. Remove top and sprinkle with remaining onions. Continue baking, uncovered, for five minutes or until top is brown.